“Anybody There?” opens with a ground-shaking rumble before frontman Steve Fischer’s (who is actually seated behind the drum set) raspy, angered shouting comes into play. Throbbing bass and a stampede of tom-tom driven percussion barge on through over scratching and strung-out guitars. The near 5-minute track is perpetually in motion, burdened by these shredded and angular twists of the axe. B-side “Flat Out” creeps along slowly, seeking out its prey and attacking only when necessary. Bursts of flaring guitar fury complement their fist-in-air chanting of “flat out!”, sung right after “always out to drink but can’t afford the cup” and “my foot’s flat on the gas but there’s nothing in the tank.” They stick a ripping guitar solo in before the last verse and it’s similar to attempting to open a tin can with a razor blade. You can hear both sides below and simultaneously feel the disgusted wrath of the Wilful Boys. 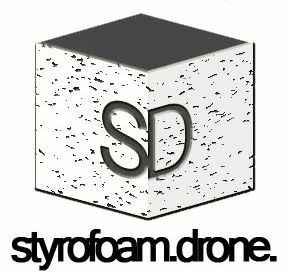 Posted on April 8, 2015 by styrofoamdronePosted in ReviewsTagged Anybody There?, Ever/ Never Records, grunge, punk, Wilful Boys.